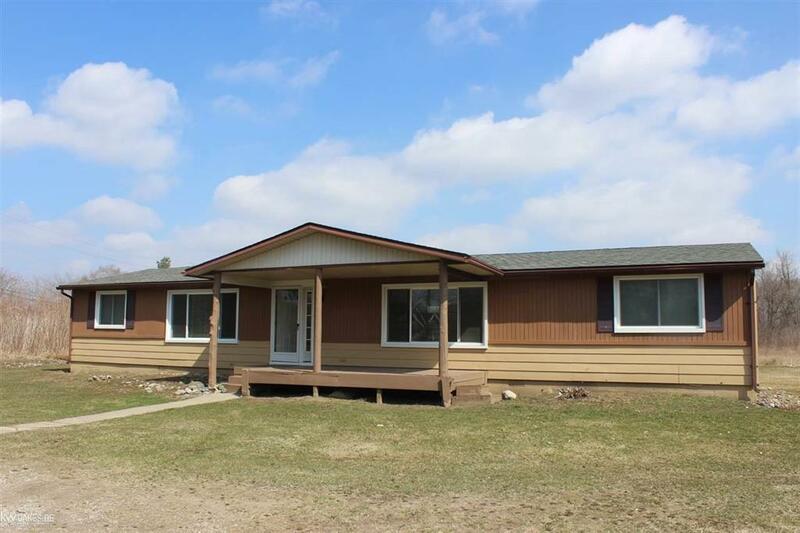 Cute and spacious ranch on 13.675 acres for lease! Located at the very end of a quiet street just outside of the Village of Romeo, this home offers Living room with large picture window; island kitchen with snack bar seating, gas cooktop range, built-in double oven, built in dishwasher, lighted pantry; breakfast nook with doorwall to deck; formal dining room with built-in china cabinet; master bedroom with huge private bath offering cearmic floor, tub w/ceramic surround, separate shower, double sinks; split bedroom layout with master on one end of home and two addt'l bedrooms on other end; family bath ceramic floor; large laundry room with washer & dryer; large rear deck overlooks 13.675 acres; covered front deck/porch; detached garage. Great peaceful location!